Hungry’s parliament has authorised its army to shoot rubber bullets, pyrotechnical devices, (flashbangs), net guns and tear gas grenades at migrants. Hungary is violating the human rights of refugees by blocking their access to a meaningful asylum procedure on its territory. They say that the use of the so-called non-lethal weapons will help Hungary’s military handle the migrant crisis. As Hungary rushes to finish building a fence along its border with Croatia, Prime Minister Viktor Orban said that the police needed the army’s help to secure Hungary’s borders with Serbia and Croatia. Meanwhile, in a bid to stop the flow of migrants, EU member state Croatia has blocked trucks from entering from neighbouring Serbia. 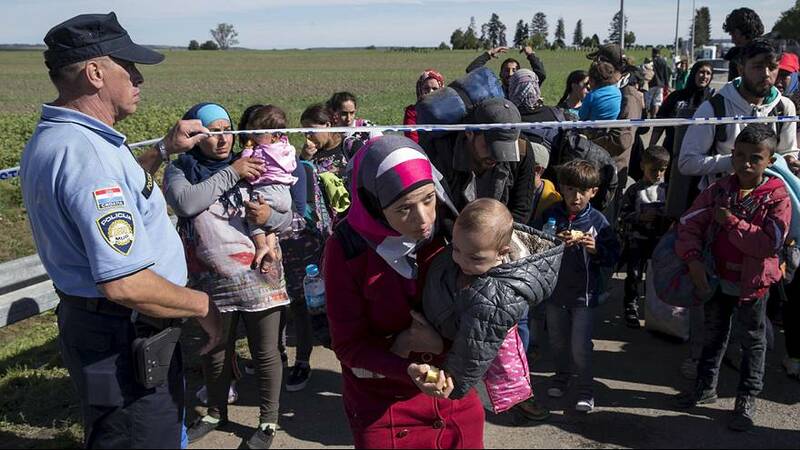 But refugees already in Croatia are being allowed to leave in growing numbers. Croatia is not one of the 26 Schengen zone countries that have removed passport and immigration controls at their borders.